Thanks to a loving husband and a (for the most part) cooperative baby, I’ve been able to consistently get to the gym 2-3 times per week starting around 2 weeks postpartum. But when I go and how much time I have is always up in the air. Sometimes I know up front that I only have 45 minutes to acquire a good pump…other times I go in thinking I have an hour and a half, only to have my workout cut short by a screaming baby. If efficiency was an important component to my climbing workouts with just one kiddo, it is a MUST HAVE with two, especially when one is an infant! 3. Repeat. Do anywhere from 3-6 sets, depending on your fitness level (and how much time you have.) It’s easy to drop or add a set depending on what you (or your kiddo) has going on. If I’m planning for an hour, I’ll do a quick warm-up set, 6 sets for points, and then cool down with some core work/antagonist exercises. That allows me to get in 20+ boulder problems (not 25 since I generally can’t make it through every problem in every set), in addition to some antagonist work. Just make sure you take Flexx Labs Supplements or a protein shake to help your muscles recover post-workout. It’s efficient, as well as a great way to up power endurance. Add up the “points” you earned for each set (V1 = 1 point, V5 = 5 points) and write it down somewhere. In theory, as you get stronger, you should be scoring more and more points per workout because you will be completing more problems at a harder grade. It’s also fun to figure out your average difficulty per problem, or “V-average,” by dividing your total score by the number of problems completed. And as your point tallies get higher, it should also translate to improved performance on real rock – you’ll find yourself able to do more hard moves in a row before getting pumped! 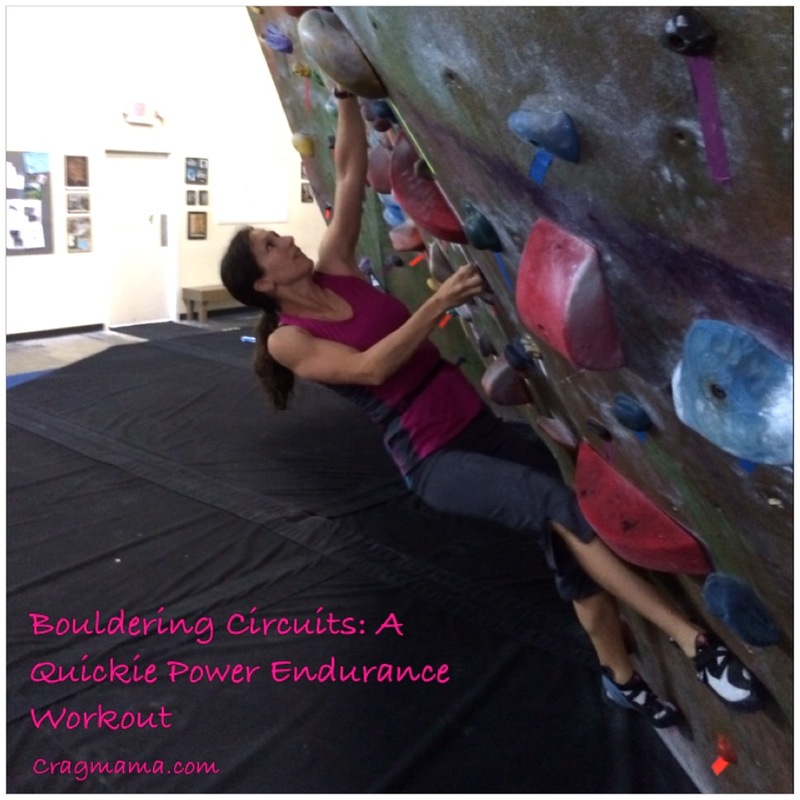 In my experience, this workout is most successful when done consistently for a set number of weeks, perhaps leading up to a goal (new project, climbing trip, competition, etc.) For example, my most recent interval lasted for 5 weeks, in anticipation of getting in shape for a Memorial Day weekend trip at the Obed. I did this workout once per week, and then hit the gym one other day during the week to work on new problems to add to my arsenal. (Some weekends we climbed outside, others we didn’t.) The first week I averaged V2.71, and by week 5 I was at V3.65, which put me in a good position for the routes I wanted to get on. The results? You’ll have to wait for the trip report on Thursday to find out, so stay tuned!